A few bottles in my collection. Some for immediate drinking, some for a later date. 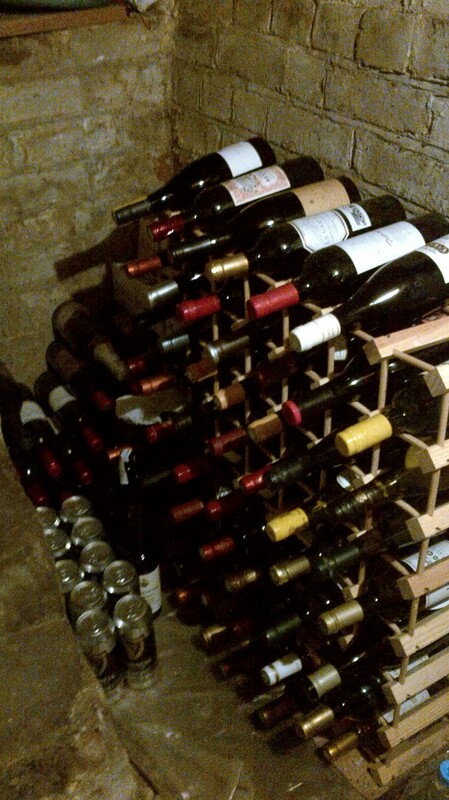 People often ask me what my cellar is like, so here it is. First thing to notice is that it is anything but glamorous. But the temperature is fairly consistent, it has some humidity, it is dark and, most important of all, it ensures my wine isn’t being stored next to my fridge. On the bottom row is a collection of various things that need some ageing. Nothing is particularly expensive, but they are all interesting in one way or another. For example, there is a Mas de Daumas Gassac 2008, a Ch Doisy-Daene Grand Vin Sec 2009, Osoyoos Larose Le Grand Vin 2006 and 2007, as well as a Tablas Creek Esprit de Beaucastel 2007. I also have a few bottles of fizz, both French and English, most important of all being the Dom Perignon 2002, just out of view in this photo, which is looking for a reason to be popped.